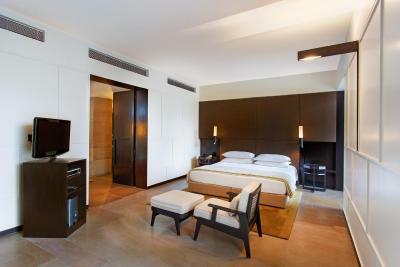 Lock in a great price for The Lodhi – A member of The Leading Hotels Of The World – rated 9.1 by recent guests! Great location and the design was nice but was expecting more. The spa treatment was out of this world, I will say that. The property is at a very good location. Has s very pleasant architecture. Breakfast very good. Room excellent. Staff very attentive and competent. Spacious, clean, comfortable room. Excellent hotel dining options. My favorite hotel stay during this 7-country world tour. Spacious well designed conclave in the middle of New Delhi, with every room a captivating experience. The breakfast is especially delicious, and served at any time during the day. The main garden adds much needed greenspce amidst the congested Delhi streets. Restaurant staff were very friendly, and made sure everything was to our liking. The chef made special dishes for my children, who cannot take spicy food. Very chic, clean lines, no fuss! Good old fashioned Indian hospitality ! And oh, their pool is fab! We will be back. Everything. The room was very clean and spacious with a great view if you're in a high floor. The food was delicious. If you're going to Delhi and not staying here you didn't plan well for your trip. The staff were incredibly helpful. The concierge located an esoteric dargah had a car take us there. When we checked out there was a hotel rep at the airport to walk us through and run interference. 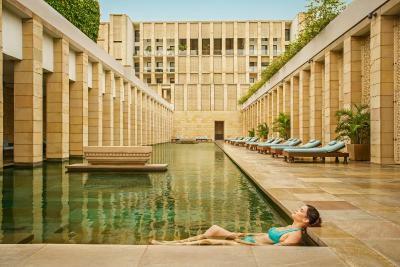 The Lodhi – A member of The Leading Hotels Of The World This rating is a reflection of how the property compares to the industry standard when it comes to price, facilities and services available. It's based on a self-evaluation by the property. Use this rating to help choose your stay! 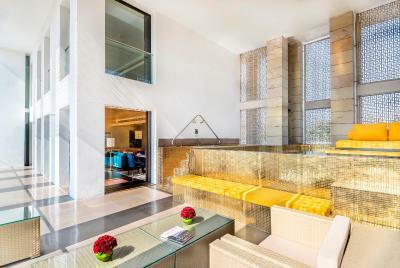 Located just 0.6 mi from the tomb of the famous Mughal Emperor Humayun, The Lodhi is a luxurious property which features an outdoor swimming pool, free Wi-Fi throughout the property and a 24-hour front desk. 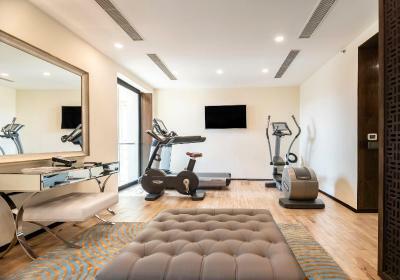 The Lodhi features of a salon, fitness center, spa and massage center, steam and sauna room, a library, a cigar lounge and a business center on premises. 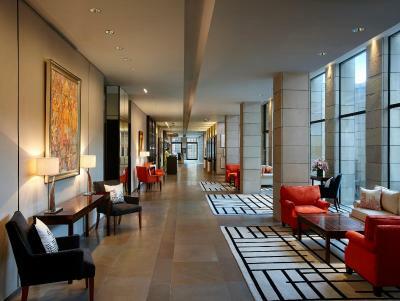 Guests can avail of a tour desk, concierge services, currency exchange facilities and laundry/dry-cleaning facilities. 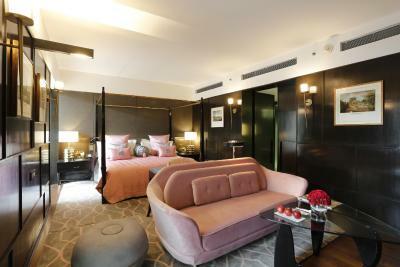 Each indulgent air-conditioned room features a private balcony as well as a seating area. It is equipped with a work desk, wardrobe, CD player, mini-bar and flat-screen TV with satellite channels. The en suite four fixture bathroom contains complimentary toiletries. The property is 1.9 mi from India Gate and Pragati Maidan. Indira Gandhi International Airport is 12 mi away and New Delhi Railway Station is 1.6 mi away. 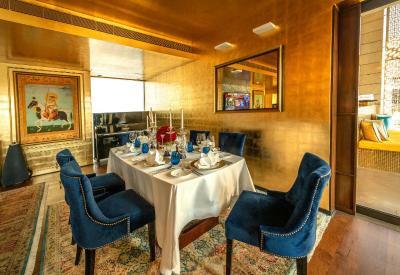 Elan Restaurant & Bar serves pan-Indian, Mediterranean and South East Asian cuisines. Room service options are available 24-hours a day. 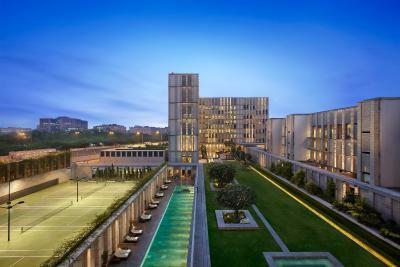 When would you like to stay at The Lodhi – A member of The Leading Hotels Of The World? 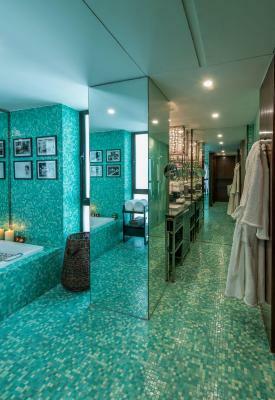 This indulgent air-conditioned room features a private balcony and has a private plunge pool as well as a sitting area. 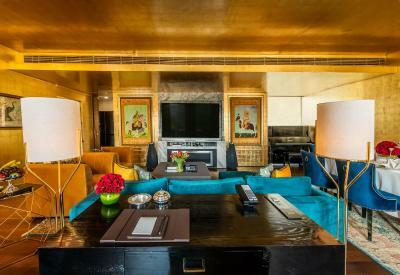 It has a work desk, walk-in closet, CD player, minibar and flat-screen TV with satellite channels. The private four fixture bathroom contains complimentary toiletries. 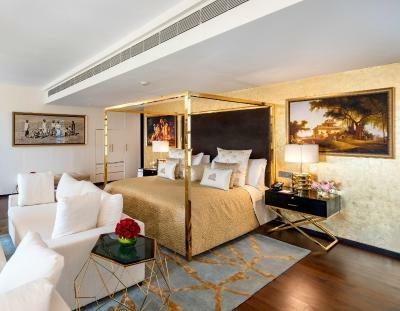 Offering views of the grounds and the Delhi Golf Course, these spacious and indulgent air-conditioned room features a private balcony and has a private plunge pool as well as a sitting area. 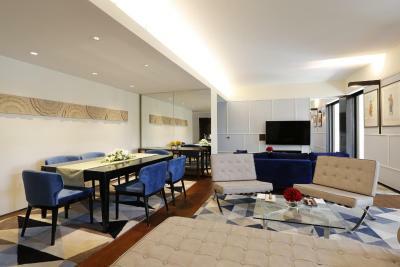 It has a work desk, walk-in closet, CD player, minibar and flat-screen TV with satellite channels. The private four fixture bathroom contains complimentary toiletries. 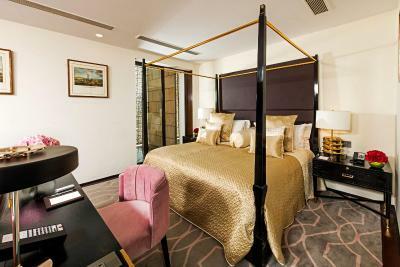 On the higher floors of the hotel, this large room offers panoramic views of New Delhi's skyline. 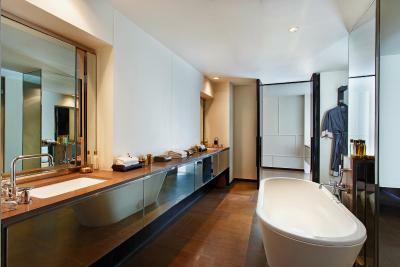 The room features a private balcony and has a private plunge pool as well as a sitting area. 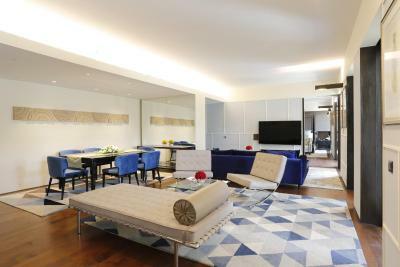 It has a work desk, walk-in closet, CD player, minibar and flat-screen TV with satellite channels. The private four fixture bathroom contains complimentary toiletries. 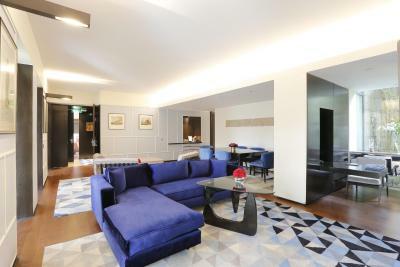 This large suite has an separate living and dining areas. 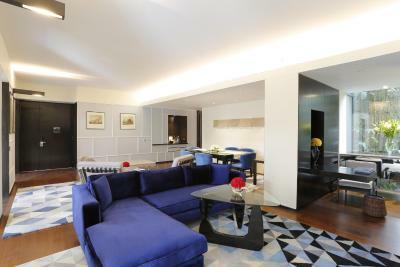 The suite features a private balcony and has a private plunge pool as well as a seating area. 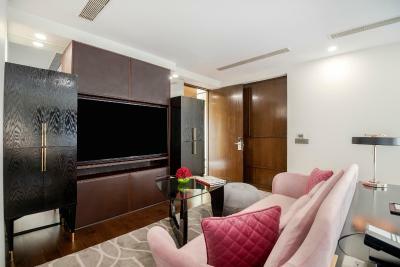 It is equipped with a work desk, walk-in wardrobe, CD player, mini-bar and flat-screen TV with satellite channels. The en suite four fixture bathroom contains complimentary toiletries. 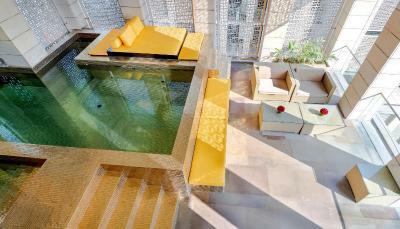 Each indulgent air-conditioned room features a private balcony and has a private plunge pool as well as a seating area. It is equipped with a work desk, wardrobe, CD player, mini-bar and flat-screen TV with satellite channels. 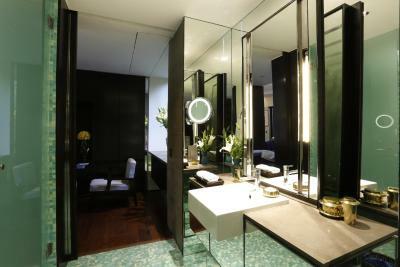 The en suite four fixture bathroom contains complimentary toiletries. 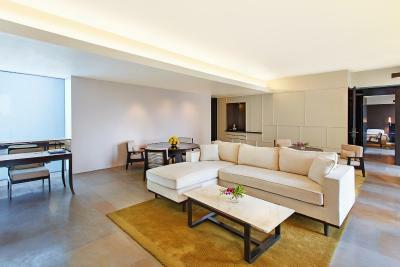 This large suite features air-condition, a private balcony and a private plunge pool as well as a seating area. It is equipped with a work desk, wardrobe, CD player, mini-bar and flat-screen TV with satellite channels. The en suite four fixture bathroom contains complimentary toiletries. 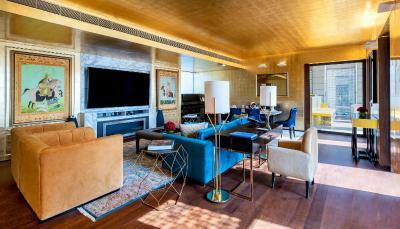 The suite overlooks the golf course and Humayun's Tomb. It has 2 bedrooms. This twin/double room features a balcony, CD player and electric kettle. This twin/double room features a mini-bar, iPod dock and flat-screen TV. This double room has air conditioning, iPod dock and bathrobe. This suite has a balcony, sofa and DVD player. This suite features a balcony, sauna and dining area. 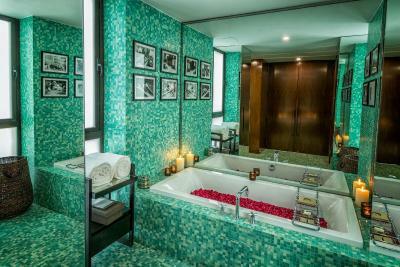 House Rules The Lodhi – A member of The Leading Hotels Of The World takes special requests – add in the next step! Any additional older children or adults are charged INR 5500 per night for extra beds. The Lodhi – A member of The Leading Hotels Of The World accepts these cards and reserves the right to temporarily hold an amount prior to arrival. Customer service is very very poor. No apology given when things went wrong and there were a number of things that did go wrong. Utterly disappointed with this hotel. There are better 5 star hotels in Delhi which give better customer service! I will not return to the Lodhi! Price per night could have been lower. I love the overall ambience; facilities, pool, fitness room, restaurant (fantastic breakfast!). The friendly support of the Concierge in regard to an unexpected flight cancelation was extraordinary helpful. I felt warmly wellcomed and pampered. I definetely recommend this outstanding hotel in Delhi. I was expecting so much more. The staff really messed things up upon check-in. Food was average. The gift shop was had pretentious staff and very overpriced. The enormous distance from some rooms to lobby, also the room I stayed in was quite noisy as the back part/bathroom was facing main road in Delhi, windows need double glazing. 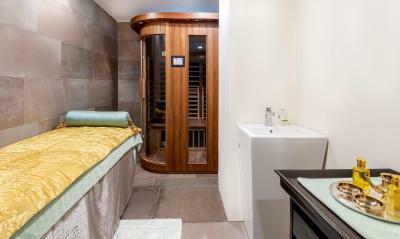 Hammam is quite good as the gym but usually full as people from out of the hotel can access. Pool food service is really convenient and has good waiters.